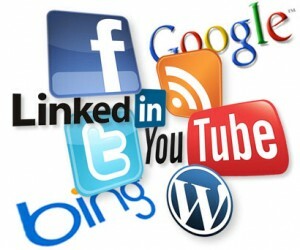 Derek's Home and Business Blog: Social Media Management Part 1: You Do WHAT For A Living? Social Media Management Part 1: You Do WHAT For A Living? This week, I'm delighted to bring you a three-part series on Social Media Management and Consulting by Dawn Sievers. Dawn is a freelance technical and creative writer, a social media management consultant, editor and blogger at Healing Morning, and founder of the Facebook group, Authentic Blogger. She is also a close friend who helps me with my administration duties at Bloggers Network. In this three-part series which will continue on Wednesday and on Friday, Dawn will be explaining what is social media management, what a social media manager or consultant does, how to handle objections and how to market yourself in this growing niche. This exclusive three-part series will enlighten and hopefully inspire you to pursue a lucrative career in social media management. Thank you so much Dawn for agreeing to guest post on Derek's Home and Business Blog and I'm delighted and truly honoured to have your articles published on the blog and to have you as a friend. I'm sure my readers will thoroughly enjoy your series. Social Media Management. Three words that can mean a great many things. The term "social media" is relatively new in the grand scheme of things, and it applies to the myriad social media applications that exist online these days. The most prominent are Facebook and Twitter. Multiple millions of people around the world use both services daily. It was inevitable that social media would eventually infiltrate the business world, and it is now one of the fastest growing methods of promotion and marketing for all manner of businesses. Using social media as part of your marketing and sales campaign can reach a far wider audience than was once possible to realistically achieve. So, what does a social media manager or consultant do? If you're a small business owner, you know that your days are chock full of a wide range of responsibilities. Efficiently marketing and branding your business oftentimes falls by the wayside as you tend to the most important aspects of running your business. This is where a social media manager comes into the picture. We handle your online presence with various social media streams such as Facebook, Twitter, your business blog and more, which frees up your time to concentrate on the actual running of your business. I am a writer by trade and the majority of my business used to be solely in the technical writing world. The economy turning upside down several years ago forced me to pursue ancillary options to widen my knowledge base and learn new marketable skills. People began asking me about the concept of blogging and how it and social media could benefit their business. I researched, I learned and I incorporated social media management and consulting into my business. Social media, by and large, offers the opportunity to create relationships. Conversation on your Facebook wall and Twitter stream are vital to drive traffic to your company's website where those customers are more likely to purchase your product or service. Why are they more likely to do this because of social media? Consider the fact that marketing used to be relegated to newspapers, television and magazines and the goal was to make your branding a part of your consumer's household...you were there in their living room each time they saw a commercial about your company. With the advent of the internet, social media, and most importantly, smart phones, marketing has now morphed into reaching people throughout the business day, where ever they might be. So, marketing that adapts to speaking to consumers via social media and their smart phones can be incredibly valuable and successful to drive business and create awareness. Think about it - your Facebook Fan Page or your Twitter page can be accessed on those millions of smart phones. If those same people have clicked to Like your Facebook Fan Page and/or are following you on Twitter, there's a sense of community that has been established. This, in turn, creates trust. As a result, when that consumer suddenly has a need for your particular product or service, they're going to be more likely to purchase from you. They know they can pick up their smart phone, pull up your Facebook page, access your website link and boom - you just landed a sale. Savvy business owners recognize the power of social media. They also recognize the value of employing a social media manager to efficiently handle the daily supervision and implementation of their online marketing goals. Done properly, social media management can create a solid awareness of your brand that can broaden your market base beyond your wildest dreams. In part two of this three-part series which will be published on Wednesday: Finding clients and answering some of their objections. About Dawn: S. Dawn Sievers is a Freelance Technical and Creative Writer, Editor and Blogger, founder of Facebook group Authentic Blogger, and Social Media Management Consultant to a wide range of industries and corporations. To learn more about her technical, creative, editing, blogging and social media management writing services, visit her website at http://www.sdawnsieverswritingservices.com. Do you like this guest post by Dawn Sievers? Please show Dawn your support by leaving her your valued comments. Until part two on Wednesday, have a fabulous week! © 2012 Dawn Sievers. This article is DMCA protected. Republication is prohibited. My pleasure Dawn and thank you for providing such wonderful articles. Thanks for this intro to Social Media Mgt Dawn! I'm currently utilizing my skills as a former public relations professional to navigate my way into this new business genre! I look forward to the next parts of the series! Thank you! Informative post! Look forward to the next two in the series Dawn. Derek, I have some unpublished articles you may be interested in posting on your blog. I will email them to you once I've posted this comment. Let me know what you think of them, thanks. Thank you for your interested in guest posting on the blog and for your articles. There's two that I'm interested in which I know my readers would enjoy. I will send you an email shortly to let you know when these two can be published. always fun to read u Dawn..
Hmm. do want to know more.. Thanks Derek for posting this. Dawn, you have so many strings to your bow, I am quite awed by it! :) I love your initiative in the way that you researched and upgraded your other marketable skills during the economic downturn. This article on social Media Management is helful. I am my own social media manager and need to do a lot more managing! Very informative and enlightening. I never thought much about it but like the one-time advertising consultant, social media management is a niche that needed filling. I'm glad you are the one to fill it. A nice intro to such a broad subject like social media management.Looking forward to the next updates Derek.Interesting perspective on Social media management Dawn.Thanks for sharing your knowledge. Dawn, great article! I took several classes in social media management about 6 or 7 months ago. It provided me with a wealth of information which I primarily utilize with my own ventures on the internet. It is a great opportunity for anyone who is interested in creating their own business. Thanks for sharing! Looking forward to part 3 for sure!